Last Friday I was the photographer for a wedding. 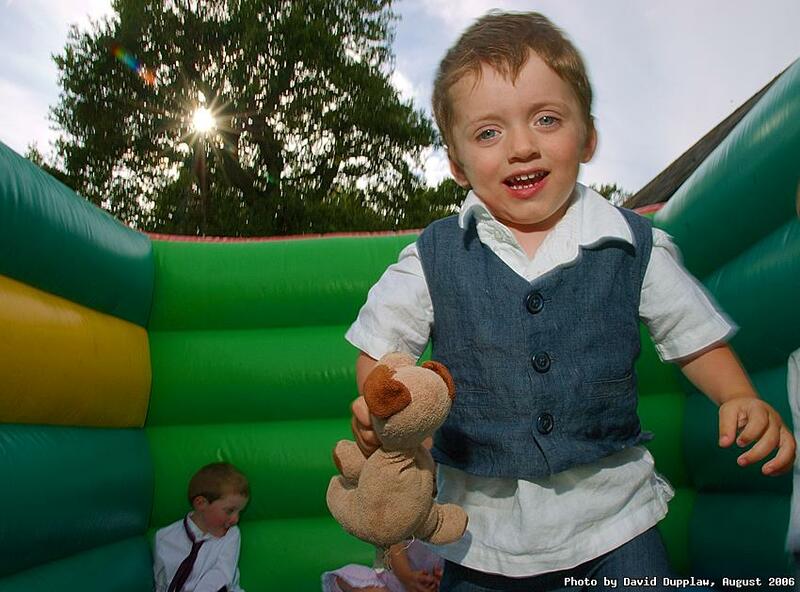 At this wedding they needed a way to keep all the children happy during the afternoon, so they had a small bouncy castle erected in the grounds of the reception venue. Here's one of the children having fun in the castle. I used a slow flash-sync to get a feeling of the movement.